Multiple files or images of any file type can be uploaded to your new idea. 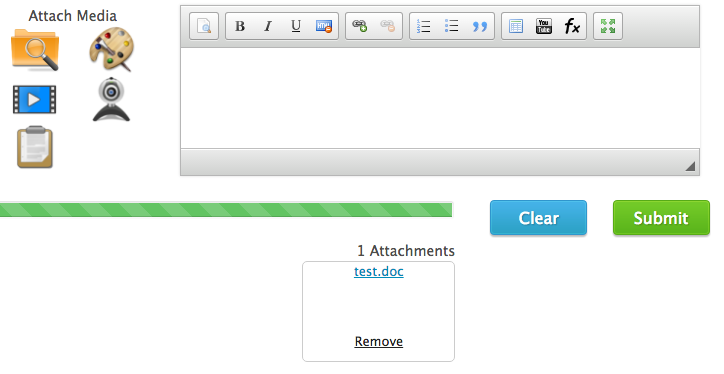 To upload a file, select the icon below the text box. Select the file that you would like to upload. You will then see the uploaded file at the bottom of the Add Idea box. Select the button to post your file. Your file will then be visible on the Prompts Page.